Hi there! My name is Ramli. That’s pronounced RAM-LEE, which rhymes with “valley” or rally”. I’m a Toronto-based growth marketing and conversion optimization expert. I help businesses increase their profitability by employing data, analytics and tools to turn more of their website visitors into customers. I’m a BMath (University of Waterloo) and MBA (Ivey School of Business) grad. After my undergrad, I worked with Java, Pyton and COBOL as a Marketing Systems Analysts at PepsiCo, where I developed high-profile analytics tools for the marketing team. After my MBA, I founded several startups and worked as the head of marketing for tech companies in Toronto, San Francisco and New York. I’m currently the Managing Director and co-founder of Idea 51, a data-driven, user-centric conversion optimization and web/mobile design agency. We’ve worked with established brands such as Adobe, Nikon and Telus to fast-growing e-commerce startups. When I’m not optimizing websites or exploiting data-driven routes to increase the profits of my clients, you can find me rock climbing, writing or riding my motorcycle. I also love helping other entrepreneurs and marketers. 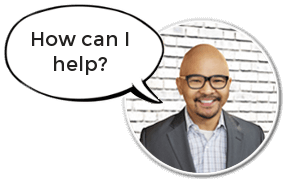 You can schedule a free 30-minute call with me, send me a short note to hello [at] ramlijohn.com or Tweet at @RamliJohn. Come say hi :). Let’s connect. Send me a connection request on LinkedIn or follow me on Twitter. "Ramli provided a lot of useful and encouraging feedback, and also gave direct advice on what to do next for my company." "Ramli helped me by providing advice on how to build a double sided marketplace. His insights were incredibly useful and helped me define my next steps." "Ramli was superb at understanding where I am with my business and gave some excellent advice and tips on next steps." "Ramli was very useful in helping me evaluate the alternatives that bring the most learning opportunities about the customer with the least effort. I definitely recommend talking with Ramli." 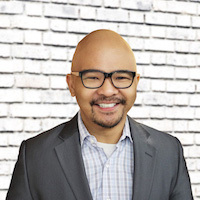 "Ramli provided excellent marketing insights. It is clear that he is talented and knowledgeable marketer." Jordan Brown - Founding Partner at MedPilot Inc.
"Within a 15 minute conversation he had given me several different ways that would allow me to validate my idea and make money while doing it." "Ramli offered some excellent advise on making my startup leaner in the early phases. He was very enthusiastic, helpful and inspirational. I highly recommend talking with this guy!" "Ramli was super friendly and passionate about discussing my startup, MusicBox. He asked insightful questions and offered advice that we'll literally start using today." "Ramli provided amazing advice that was completely new to me. He understood the position I was in and give me useful and practical steps I could take." "Ramli gave some very helpful pointers. Talented guy, great listener, and perceptive insights. I'd recommend him to anyone!" "Ramli was really helpful and gave me some good ideas of what I should be doing next. Great mentor and great advice." "Ramli provided me with creative ideas and is a very numbers-oriented individual. He took the extra step of providing me with an intro, and I am grateful!" "Ramli unmistakably has the startup/entrepreneur mindset, and I'm sure could apply that to almost any topic." "Just talking to Ramli helped me find focus for my business. I usually want to go in every direction, but he grounded me and suggested some simple ways to test my product. He's a real Lean guy. Listen to him, it'll make a huge difference!" "I had some ideas that I wanted to talk out regarding growth in my startup. Ramli understood my perspective and added new insight that helped me see things from a different angle. He's the guy to talk to about growth." No catch. No sales pitch. Just one entrepreneur and marketer helping another.